Product code: QQQ09 Category: Typographical Art. Close to home for some, this typographical print for girls gets its message across using a selection of not-too girly pastels and brights. 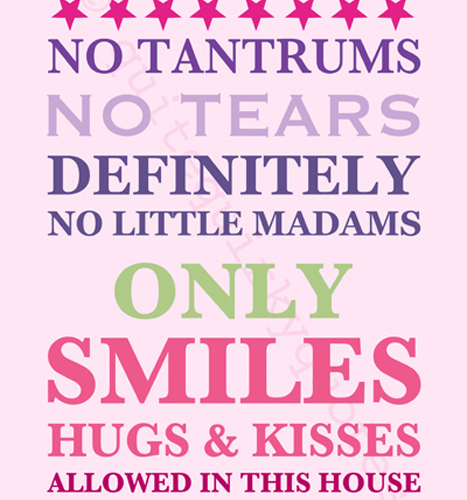 It’s irreverent and fun text and pink background make it a great gift for any little madam! 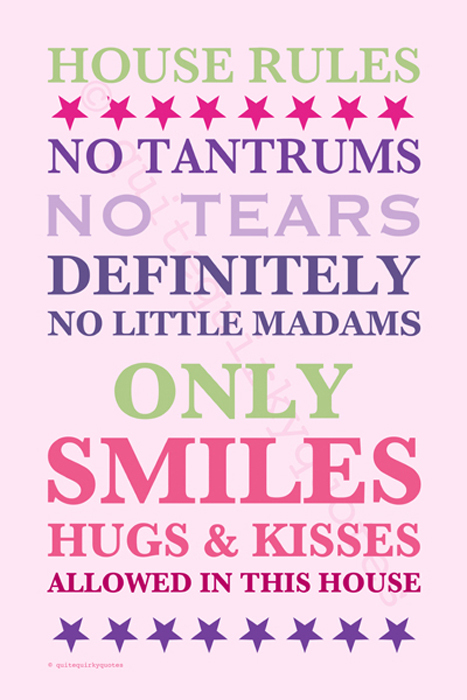 Tags: art print, gift for girls, girls, house rules.